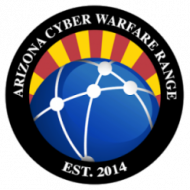 To see your current range assignment, visit home.azcwr.org. NOTE: none of these commands will work if you have not already established an account. Those interested in starting a new career in cyber security are first introduced to the basic concepts and terminology within the industry. Educational materials are available in both self-paced learning and more traditional educational contexts. Education is backed with hands on exercises against real world environments. These hands on sessions are guided by educators and provide the student with real world feedback and results. There is no substitute for practical / hands on experience. Those interested in advancing their education will continue to receive re-enforcement of the basic concepts and terminology within the security industry, but will move more into exploring and experiencing all of those concepts in a hands-on learning environment. This includes both offensive and defensive skills. To obtain mastery of the required knowledge, advanced students will work within a completely hands on environment and will be working with tools and technologies available on the commercial market. Their education is augmented with real-time industry updates and technology performance data from the cyber warfare range’s real world environment. Students in this area are operating in an environment that is comparable to employment as a corporate security professional. They will continue to use and master real world commercial tools, as well as learn the needed skills to work with other security professionals in a team environment. Soft skills, reporting, budgeting, and other forms of planning are learned, practiced, and reviewed. Cyber warfare is constantly evolving. Therefore, cyber security professionals must continue their education. Students operating in our real-world environment are participating in a live fire cyber war. It does not get any tougher or real-world that this environment. Students harden and broaden their skills based on real-time experiences and information as it happens.